Who Is an Empath? Our Online Community’s Empath Life List. Teaching Empath Empowerment®, I’m a blur of motion. Maybe this post’s Empath Life List can help to empower you. Whew, empaths around the world are finally beginning to know they are empaths. Let the process of Empath Empowerment® accelerate worldwide! In this post I’ll kick off an Empath Life List, similar to my Enlightenment Life List. The updated new title is The Empowered Empath: Owning, Embracing and Managing Your Special Gifts. That’s more like it! Today, many people are wondering if they are empaths. That makes sense because my research has shown that 1 in 20 people on earth now have been born as an empath, naturally talented for life. Notice this important point, “Naturally talented” does not mean “Naturally skilled.” Just the opposite. Similarly, curiosity about aura reading doesn’t mean you have developed skills of energetic literacy… although anyone could. Being an empath is different from being a Highly Sensitive Person (HSP) or being an “emotional person” or many other things. Did you know? If you don’t know whether or not you’re an empath… you’re not a skilled empath. If you don’t even know what it means to be a skilled empath… with all respect, you’re not a skilled empath. Until you learn an effective set of skills to become a skilled empath… you’re not a skilled empath. Merely being talented does not, and cannot, and never will make you a skilled empath. Who cares? You do. Or you will. Once you realize this simple fact. Unskilled empaths suffer because they constantly pick up energetic STUFF from others. That STUFF goes all the way into people’s auras, creating problems at a subconscious level. Some problems, the unskilled empath will be aware of. Mostly, the unskilled empath won’t even know about… but that won’t keep the empath from suffering. For starters, know that much of the conversation today about emotional blackmail, energy vampires, narcissists, and psychic attack doesn’t help at all. Blaming others, or being frightened by them, or choosing people to avoid in life — this is not an effective way to become skilled as an empath. Okay, I’ll be blunt. This is a way to become a weaker person, since more and more people must be avoided as time goes on. Empath, What ELSE Can Help You Have a Better Life? Respect what empath skills can do for you. Otherwise, don’t waste your time. If you’re going to use the Quickie Method to cut cords, or try to “cut all your cords at once,” you’re better off doing nothing. Likewise, what if you’re going to just casually dabble in knowledge about becoming a skilled empath? You’ll win a “Nice Try” Award, but not much else. Fortunately, becoming a skilled empath is very doable. It will take you maybe 60 hours — out of your entire life. This is not a quick grab-and-go skill set, not if you want to do it properly. I’m sharing this idea because I’m someone whose commitment to this field runs so deep that she has obtained a trademark for a systematic way to help empaths — and Empath Empowerment® is the only trademark of this kind now in America. So I don’t know everything about this field. But I do know some things that can help you. May this Empath Life List Prove Helpful to YOU! 1. Find out if you are an empath. That means learning which gift(s) you have. It also means questioning some of the crazy-wrong definitions out there… even by authors who have now published books for empaths. Being an empath does NOT necessarily mean anything about picking up on people’s emotions. There are two different emotional gifts you might have as an empath, Emotional Intuition and/or Emotional Oneness. But you might be just as much an empath if you have a gift that is spiritual, intellectual, physical, animal, environmental, mechanical, crystal, plant, even molecular. Once you find out if you are an empath, give your talent the respect it deserves. Become skilled as an empath. This is different from just telling people that you are an empath with a particular gift. By analogy, owning a bicycle or being able to name “handlebars” and “seat” does not mean that you can ride the thing. 3. Be smart about gaining skills. Whichever system to help empaths you choose, whichever blog you read or book you read, and whomever you choose as your empath coach, please use consumer smarts. Are you just being given a rehash of things that psychotherapists have talked about for years? I’m a fan of therapy and counseling, but not necessarily for helping empaths develop an effective skill set. Note: After a few years I had to call a halt to this Empath Life List. It was taking too large a share of the time I have to devote to this blog. Here’s what we’re going to do at this blog post. We’re going to list empaths who are effective in life, one way or another — public figures to some degree, whether they are politicians or writers or actors or musicians or community organizers. I’ll kick things off with a list of 20. You’re invited to add comments where you nominate people for the Empath Life List, until 5:30 p.m. on Wednesday, September 29, 2010, when this post CLOSES for nominees. Your nominee must be a person who has a website and reputation for being effective in society, a newsmaker of sorts with a wide sphere of influence. To nominate, you do not have to know for sure whether or not that person is a born empath. That’s the part where I’ll research for you, going over every single comment here at this blog, provided that the nomination is done properly. Of course, “direct link” means a string of http that can be pasted into a browser. It is NOT a link from within a site like Facebook. There may be many people you admire enormously. But are they empaths or not? I want to learn about your nominees in that way. So I will comment back to you, straight up and down, empath or not empath. Empaths will go onto the list, non-empaths merely will receive comments. Let’s have fun with this, Blog-Buddies. Remember, you can comment easily at this blog. You don’t have to join anything. You can be anonymous easily, too: At the start of your comment include words like “Rose, make this anonymous.” Easy! Marilyn Cooley, whose empath gifts extend to the animal kingdom, founder of Nova Holistic Animal Care. Jeffrey Chappell, from our Enlightenment Life List. Flower essence pioneer Star Riparetti. Steven Spielberg, the great film director. Added September 28, 2010. Alanis Morissette, the extraordinary singer. Jane Goodall, the world’s foremost expert on chimpanzees. Added October 1, 2010. Actor Tom Hanks, added October 2, 2o1o. Actress Julianne Moore, added October 7, 2010. Singer Sarah McLachlan, organizer of Lilith Fair. Here comes the first vintner on our list. He’s also a musician, Maynard James Keenan. Incidentally, vintners and sommeliers and others in the wine business do pay a price for that glamorous line of work. I know the health virtues of wine are well known, but regular significant wine consumption makes for a wobbly aura and the likelihood of carrying around hundreds, even thousands of astral entities attached to one’s aura. Anyone in that line of work, do consider coming to my annual workshop on Spiritual Cleansing and Protection. Actor Keanu Reeves joins our group of empaths. Jon Stewart joins the Empath Life List. Alan Featherstone the founder of the UK’s Trees For Life foundation that is restoring the Caledonian Forest. Check out Suzanne’s description of meeting him in Comment 9. Steve Jobs, the late CEO of Apple. Fred R. Volkmar, MD, Director of the Yale Child Study Center. Educator and visionary Rudolph Steiner. Hans Werner Henze, the prolific and politically responsible German composer. Martha Argerich (if you click on this link, scroll down to find her magnificent photo). As a pianist, she was so graced, not only by being an empath but by transmitting glorious and healing energy to people through her auric modeling as a performer. Although I wouldn’t consider her ready for that Enlightenment Life List (a separate post here at “Deeper Perception Made Practical), Martha has the most wonderful way of putting aside her personal struggles while performing, giving an audience her very, very best. Eckhart Tolle belongs on this list of Empaths. Johnny Depp goes onto this list of empaths, courtesy of Blog-Buddy DONNA. Hanna Kroeger goes onto our list of empaths, courtesy of Blog-Buddy SUZ. J.R.R. Tolkien was an empath, as well as going onto my Enlightenment Life List. Rinko Kikuchi, the fabulous Japanese actress, is definitely an empath, nominated by Blog-Buddy ANITA. Andrew Solomon, author of The Noonday Demon: An Atlas of Depression, which was a finalist for the 2002 Pulitzer Prize — another empath. Clare Danes is an empath. Empath Amelia Kinkade is the author of The Language of Miracles: A Celebrated Psychic Teaches You to Talk to Animals. Empath (and figure skater) Sasha Cohen, who won a silver medal in the 2006 Olympics (for the figure skating). Leonardo DiCaprio isnt just an empath. He has that unusual gift of being a molecular empath. Industrial designer Yves Behar is a molecular empath as well. Last updated July 7, 2014. I’m glad DAVE brought this up. Thanks for the input, JORDAN. I have no idea about the other parts of Dave’s question, but that part… asking if we had a hand in designing such a major part of our identities… well, it just seems like a big DUH!!!! to me. You ARE you!!! Of course you get to pick! Who else do you think is the boss of your lives? And who on the other side would be interested in mandating or forcing a certain kind of lifetime for you, without your input and consent? I don’t think anyone that you designed your lifetimes with… is interested in controlling you, as people on earth might be. Personally, I think we can do whatever we ! *&^* want, and that includes deciding if we want to be some variety of empath. Maybe I’d rather go to the other side of the universe and sit and be a blob for a while, or maybe I’d rather just hang out in heaven. Thanks, DAVE. I hope I didn’t sound too rude! I probably could have picked a more graceful words than DUH and *&^!#!!! Ha! DAVE brings to our attention on December 16, 2011, that Eckhart Tolle belongs on this list of Empaths. Rose, I love your response regarding Alanis, I adore and enjoy her as an artist, and she has definitely touched me in the very ways you described. I have been listening to her since the earlier 90’s. I read that Keanu Reeves supposedly has high-functioning autism or has ‘autistic traits’. I’m not sure whether he said this of himself or it’s only other people who have labeled him as such, but wouldn’t you say that an empath is like the opposite of someone with autism? I think it’s really offensive to label people as autistic, just because they may come off as a little ‘weird’, shy or introverted, as this seemed to have become so acceptable these days..
TARA, finally a response to your comment. Yoicks, back so many months ago. I couldn’t agree with you more that it is offensive — and irresponsible — to give people mental health labels because there is something different about another person. I look forward to a time when folks just don’t inappropriately fling about terms like “narcissist” — a mental health pattern which really exists, but not as often as popular usage on the Internet would suggest — or “psychic vampire” — which pretty much doesn’t exist at all, except for those times when a person requires someone to blame. Calling people “autistic” inappropriately? I wasn’t aware of that one. Personally, I applaud this form political correctness. It is wrong, both inaccurate and unkind and unethical, to use language in such a way. Curious about molecular empaths? How about high-level politicians who are empaths? Well, Blog-Buddies and fellow empaths, it has been a while since I added any names to this thread. Yes, it’s officially closed. But a brainy Blog-Buddy reminded me that when I do the promised empath research on nominees for our latest contest, they could go here. JESSICA, mega-talented novelist Barbara Kingsolver doesn’t just go onto our list of empaths. She goes onto the Enlightenment Life List. Thank you for this nomination in the 2013 Contest at Comment 11. The actress Lauren Graham goes onto my list of public figures who are empaths, added at the 2013 Contest courtesy of KYLIE’s nomination in Comment 13. Novelist and scholar J.R.R. Tolkien, nominated by Blog-Buddy LARA for our “Empath Contest Where Everybody Can Win,” is an empath. LARA’s super nomination included a photo of the “Lord of the Rings” author while young, clearly (with Stage Three Energetic Literacy) an empath. Even more wonderful, a photo taken later in life reveals a ripening into Enlightenment, so Tolkien just went onto my Enlightenment Life List. Meet Andrew Solomon, author of The Noonday Demon: An Atlas of Depression, which was a finalist for the 2002 Pulitzer Prize, and Far From the Tree: Parents, Children, and the Search for Identity. Including today, during America’s end-of-summer holiday, Labor Day Weekend 2013. CLARE DANES is another nominee for our “Empath Contest Where Everyone Wins” who is an empath. The latest addition to this list, courtesy of our “Empath Contest Where Everyone Wins”? Magnificent Amelia Kinkade is the author of The Language of Miracles: A Celebrated Psychic Teaches You to Talk to Animals. American figure skater Sasha Cohen, who won a silver medal in the 2006 Olympics. And the final nominee who is an empath? Caroline Kennedy, nominated by AURA READER BY NIGHT. This thread is officially closed for empath nominees from you Blog-Buddies. However, there can be future times when I will comment below to transfer names here because of a blog post. Or there might even be a comment where it turns out that the person whose aura is being reading, such as my researching nominees for our most popular post, The Enlightenment Life List. So I will add the occasional comment related to being an empath, understanding what it means to gain skills as an empath, and applaud public figures who are empaths. Plus there may be many future comments inviting you to read separate posts related to the system of Empath Empowerment(R). Here is an article for you empaths that can save you from wasting your time, being confused or distracted. Leonardo DiCaprio isn’t just an empath. He has that unusual gift of being a molecular empath. Perhaps that was not the point of this article but thought I’d mention it. Can certainly see why you’d want to keep the number of lists shorter. A few good examples is all some things need for teaching. DAVID, you’ve noticed. 🙂 Yes, so far, all the members of this online community about Deeper Perception HAVE been empaths. However, I can think of at least one long-term client who is very, very close. She is not an empath. And certainly this thread is open for comment. I’m just not researching who is an empath, who isn’t. Now is the time to make it easier than ever for empaths to become skilled, with The Empowered Empath. And then for empaths to explore Skilled Empath Merge, as never before, with The Master Empath. New articles by me, and new stories from you’all, will be opening up soon. The pursuit of Empath Empowerment(R) is just getting started! 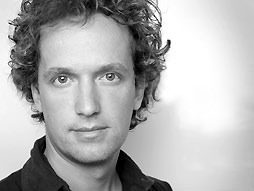 Blog-Buddy ZELDA proposed the industrial designer Yves Behar for the Enlightenment Life List. I have to say that seeing the Obama’s on this list kind of made me sick as they are both narcissists.. But I know from my own experience after being emotionally and psychologically abused by a narcissistic empath for two years, that some empaths are narcissists. MORGAN, it is lovely to have you commenting. I do need to remind you though that this thread has been closed to research for a very long time. 5:30 p.m. on Wednesday, September 29, 2010, when this post CLOSES for nominees. I realize this is an old thread, though a response would be much appreciated. I want to express my doubt about Bill Clinton being an empath. I would consider him a sociopath, and his wife as well (though I would love to be proven wrong). This makes me ask the question, do you believe that sociopaths are empaths who have chosen “the dark side”? I spent 4 years of my life in a “relationship” with a sociopath who feels no remorse for the pain he causes others, but when I first met him, I actually thought he was an empath because he seemed to understand me. I remember him saying to me, “I know what your problem is. You feel too much.” Sociopaths are certainly chameleons and masters at reading people, but that doesn’t make them empaths. I’d love to hear your thoughts, or perhaps you can guide me to a more appropriate discussion about this elsewhere. Thank you. SAM, thank you for commenting at the blog. It’s sad that you suffered at the hand of a sociopath, but this blog isn’t the place for an RES expert to help you. For that, you would choose a personal session. Both President Clinton and Hilary Clinton are on my Enlightenment Life List. No, I don’t consider them to be sociopaths. This morning SAM contacted me privately. He told me that his Comment 134 embarrassed him now and admitted that, at the time, he might have been a little too into reading about sociopaths, and being a bit hasty with judgements. I think this was so brave of him to admit. It is never, ever too late to revise your opinion of someone. Although this list isn’t being added to any longer, a contest is currently underway where you can ask about whether any public figure of your choice… is an empath. I’ve taken the liberty of collecting some names from elsewhere on the blog and I’ll post them here as comments. IRENE, thank you so much. My Grand Prize aura reading for that latest contest is all ready to go as a blog post, but for today I’m aiming to share something lovely that just came in from someone who hasn’t commented before at the blog but was inspired to write because he just finished “THE NEW STRONG” — well, you’ll see. A beautiful set of comments from SARAH MERCHANT, a new Blog-Buddy, reminds me that empaths may find today’s blog post of special interest.